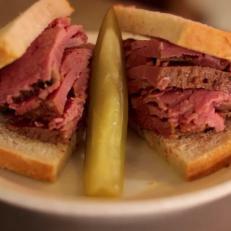 Looking for Jewish soul food in Toronto? Guy heads to Caplansky’s. The brisket is hand rubbed, house smoked and hand cut to create a knockout smoked-meat sandwich. Everything at Caplansky’s is small batch and old school.